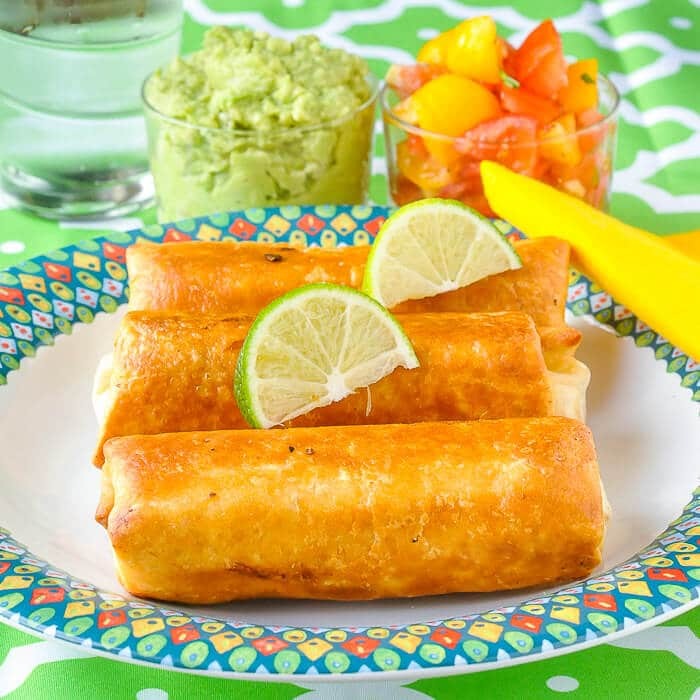 Lime Chicken Chimichangas with Lime Guacamole - my kids favorite meal! Lime Chicken Chimichangas with Lime Guacamole. The chicken takes on great lime flavour which goes well with the peppers, onions and cheese. It all gets wrapped in a crispy fried tortilla shell and served with homemade guacamole and salsa. 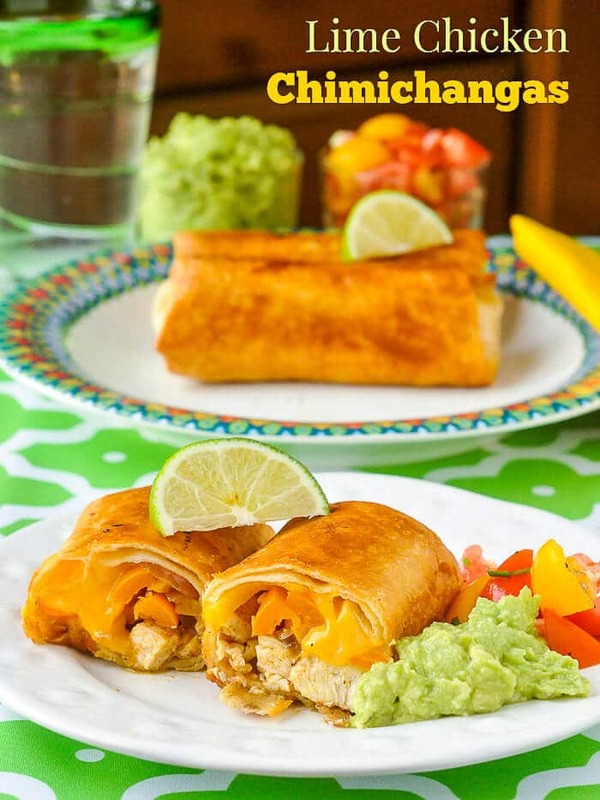 These Lime Chicken Chimichangas have been a family favourite at our house for years. Spouse started making them years ago and now the kids want them all the time. They help out with the preparation of the Lime Guacamole which you can find here. The kids also help chopping the veggies for the fresh tomato salsa found here. 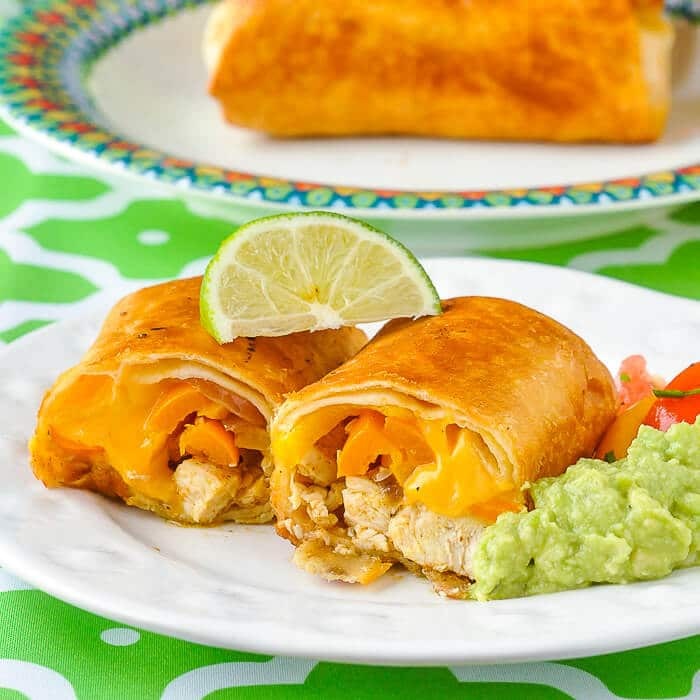 Smaller versions of these make excellent game day or party food served with the guacamole as a dip. This is the perfect thing to serve for upcoming Cinco de Mayo as well!! Like this Lime Chicken Chimichangas recipe? Find more great Quick and Easy Meal ideas here and for dozens more great Chicken Recipes click here. Original recipe posted on Oct 31, 2008. Updated edited photos on April 21, 2017. 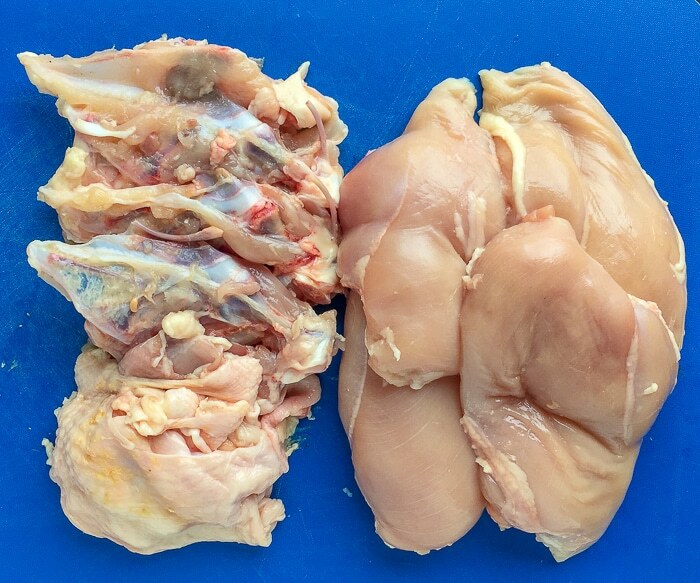 Looking for more chicken dinner ideas. 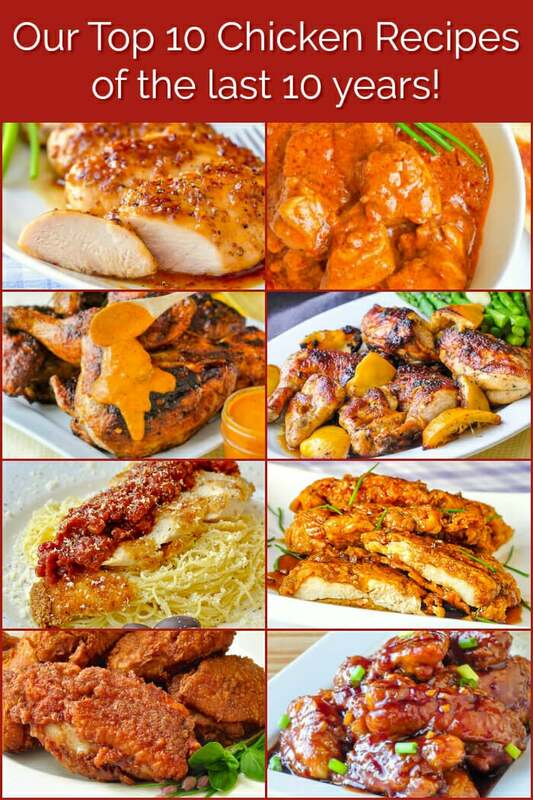 Be sure to check out this collection of our Most Popular Chicken Recipes of the last decade. Lime Chicken Chimichangas with Lime Guacamole - lime flavoured chicken with peppers onions and cheese, all wrapped in a crispy fried tortilla shell and served with homemade guacamole and salsa. Heat olive oil in a non-stick skillet over medium heat. Season chicken breast strips with salt and pepper and sauté for about 3 minutes along with the red onion and garlic. Increase the heat to medium high, add the lime juice and zest, spices and chopped jalapeño. Sauté this until almost all of the juice has been reduced off , then set aside to cool a little. Place the cheese strips in the center of the tortillas, add some red pepper strips and then the sautéed chicken mixture. Bring two opposite sides of the tortilla toward the centre (they don’t need to meet) Begin rolling from one of the ends, making sure that the seam is on the bottom of the chimichanga. Serve with salsa, sour cream and Lime Guacamole. You can also shallow fry these in canola oil a nonstick pan. Just cover the bottom of the pan with oil and fry over medium low heat turning the chimichangas on all sides as they brown. Be sure to start with the set side down. This looks so good Barry, know wonder it’s a favorite at your house! Would it work to brush with oil and bake instead of frying? I’ve done that before with tacquitos so it’s worth a try. Thank you Barry ! Always delicious recipes !